As our engagement party week continues we wanted to give you some inspiring engagement party tablescapes to make sure you have all of the eye candy you can handle. 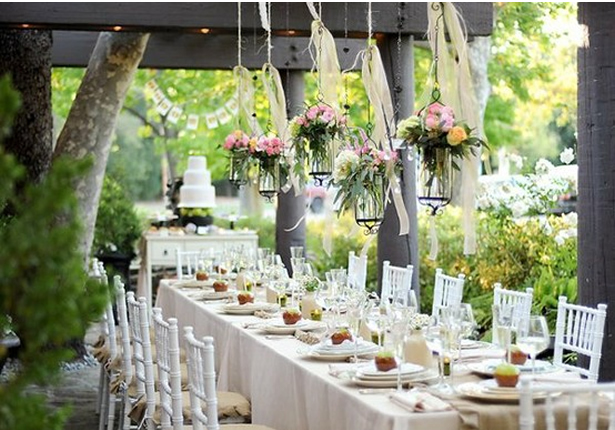 Today, we have a very light and airy tablescape full of loveliness! Those hanging lanterns filled with gorgeous blooms are out of this world. We love the fabric draping off of them too. 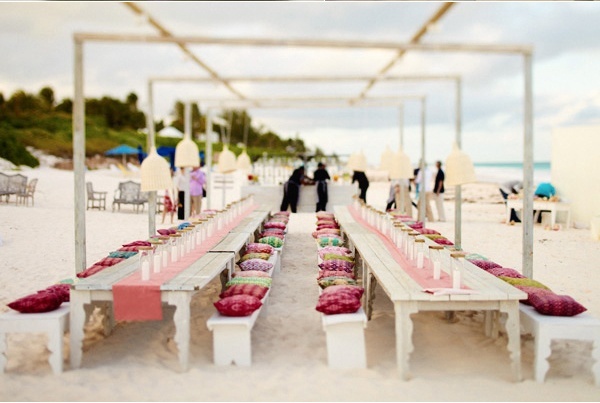 The white chairs with the white tables and white plates all give off that light and airy look. The succulent favors at each place setting just add to that overall delicate feel of this beautiful tablescape. 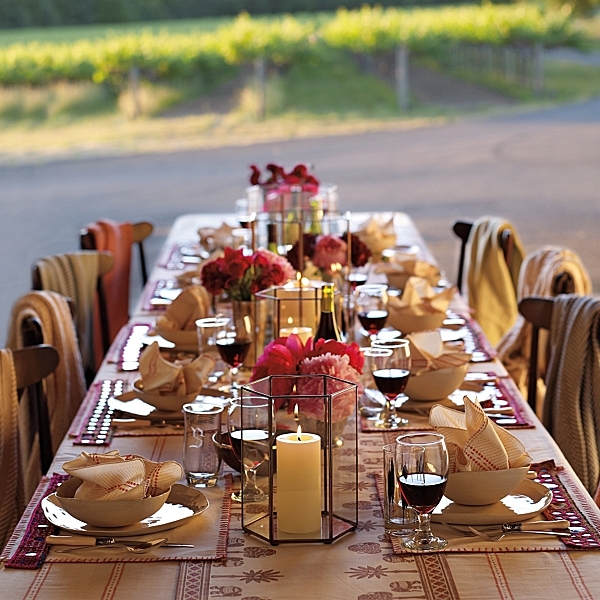 We absolutely love this for an outdoor engagement party table but it could definitely work for a dinner party, rehearsal dinner or wedding too!